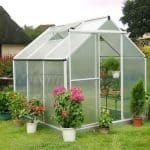 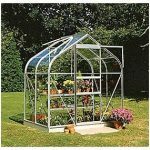 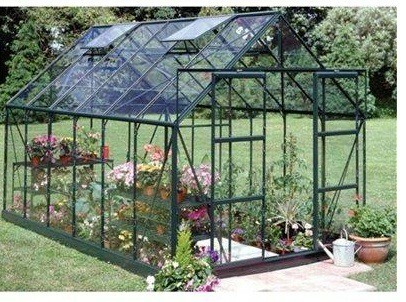 This is a silver aluminium structure short pane greenhouse and has plenty of roomy space for gardening enthusiasts to enjoy growing plenty of different plants, vegetables and flowers throughout the year. 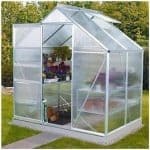 Double doors allow ease of access and it has 4 roof vents which means easy temperature control. 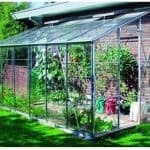 It is possible to purchase an auto vent to control variations in temperature which can be attached to a roof vent. 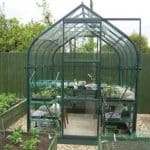 This particular greenhouse comes with a 15 year guarantee and is a low maintenance and long lasting building that looks good too.